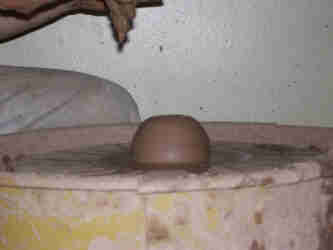 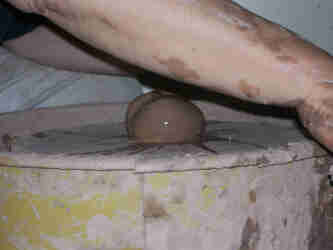 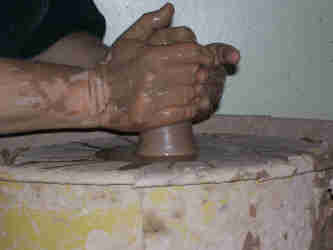 Here is how we throw a mug on the potters wheel. 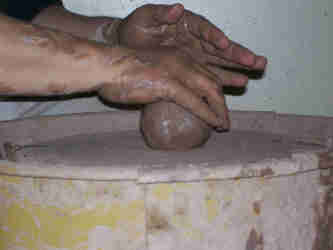 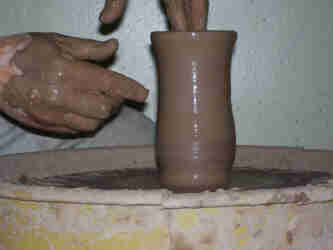 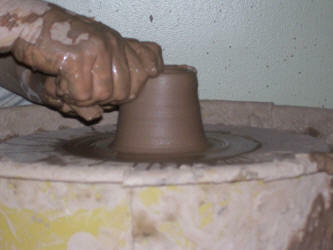 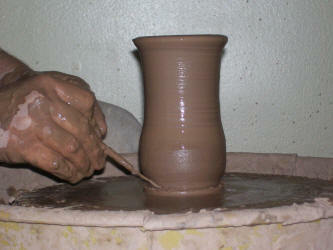 With the first knuckle of the right index finger, start at the base of the clay and move upward using the left hand to pull the clay into a thick wall. 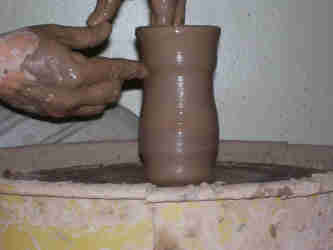 And pull the wall one more time this time, try for a little shape. 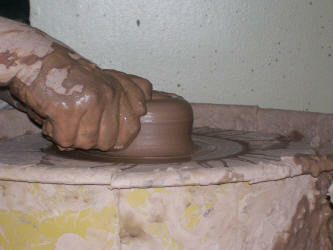 Go easy on the shaping, a little push goes a long way! 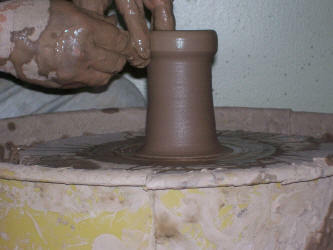 Needle off the base, all through. 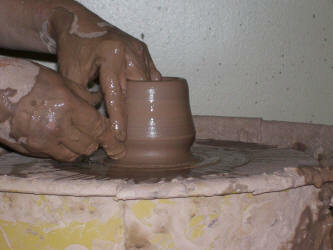 Put that one aside to dry and start again! 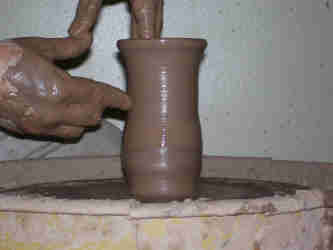 Practice makes perfect!!! 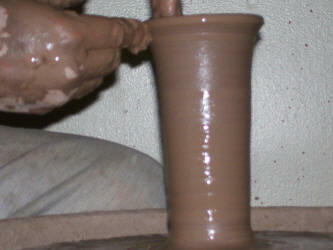 That is how we throw a pottery mug from a ball of clay. 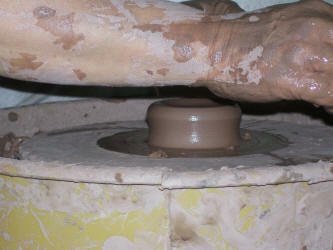 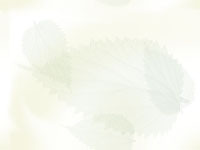 If you would like to read about the entire process click here.